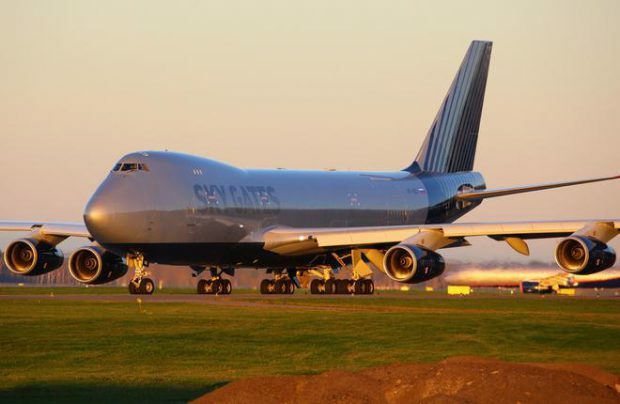 A Russian start-up cargo carrier Sky Gates Airlines has received its air operator certificate (AOC) and commenced flight operations of its first aircraft, a Boeing 747-400F. The carrier’s general director Pyotr Morozov told Russian Aviation Insider that the AOC was issued on September 14. The aircraft with tail number VP-BCI has been ferried to Domodedovo on September 10, after that it flew to Ulyanovsk for painting. According to open sources, the aircraft was built in 2001 and until 2016 was in service with Cathay Pacific. The first flight for the new operator was made in early October and included legs to Maastricht, Baku and Moscow (Sheremetyevo). The next flight along the same route is scheduled for October 14. The airline currently operates out of Moscow Sheremetyevo airport. Morozov, however emphasized that the base airport for the carrier is recently opened Zhukovsky, near Moscow. “A cargo terminal is under construction there. Maybe next year we’ll start flying from there under the Open Sky provisions. We’re considering Domodedovo as well, and in general will fly out of any airport where there’s cargo to be delivered. We’re just starting, the aircraft is expensive, so we’ll take up anything to build experience and try to stay above the red line,” the executive said. It has not yet been decided where the carrier will fly next. It is researching opportunities inside Russia, and South-East Asia. There are certain restrictions in terms of destinations. For instance, to open flights to China it needs to have logged 100 hours. Sky Gates hopes that within a year it will be able to complete all procedures to certify an in-house line maintenance station. Depending on the situation this is expected to happen in 2017 or early 2018. The airline’s only aircraft is currently serviced in Domodedovo. Next year, in January or February the carrier expects to take delivery of another Boeing 747-400F. At the end of 2017 “if everything goes well, there will be four aircraft in the fleet,” Morozov said. Three of them will be based in Zhukovsky, when construction of cargo terminal is complete there.